* Rate quoted does not include a $45 monthly fee for cable services. * **SQFT listed is an approximate value for each unit. 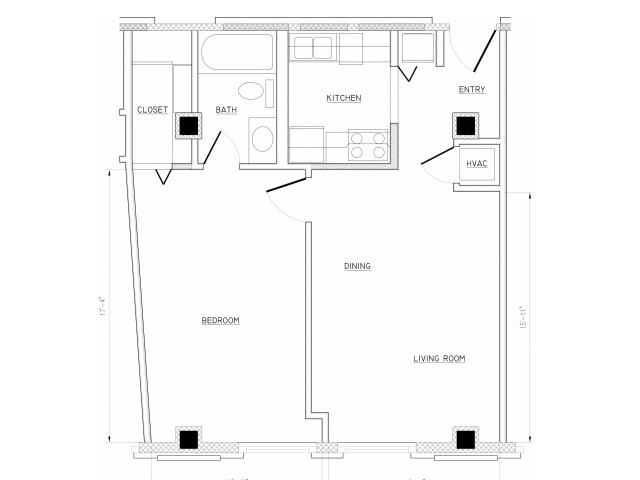 *The above floorplan is one of several available in this unit type. Please call or stop by the leasing office to get additional details about the various floorplans available.